French Krepvil, pancake or cake with exquisite taste. 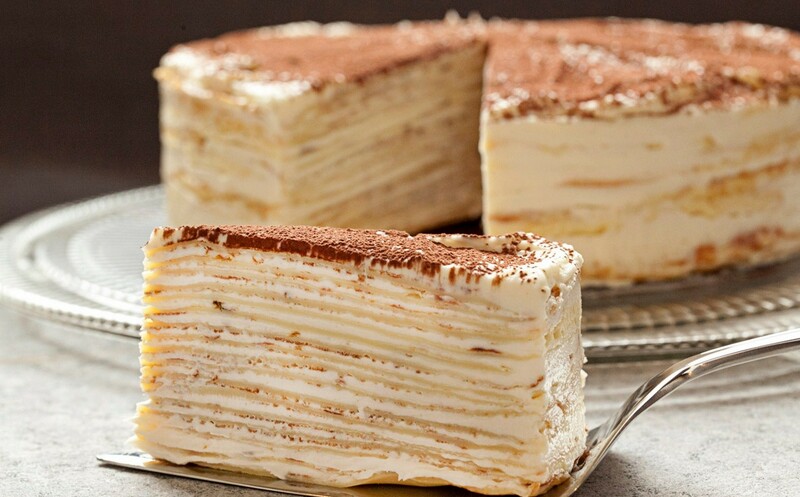 French Krepvil (Crêpes - pancakes) - is not nothing but a pancake cake (Dada, from these pancakes) with cream, which, incidentally, can be quite different: cream, custard, cottage cheese, a la Tiramisu etc. Perhaps my favorite Krepvil with cream a la TiramisuThough ... and the cheese-cream deserves attention and sour sounds very gently. And cheese, I'm sure the supporters will appreciate a healthy diet! Recipes are available free for my subscribers.